Diomidis Spinellis is a Professor in the Department of Management Science and Technology at the Athens University of Economics and Business, Greece. His research interests include software engineering, programming languages, internet information systems, computer security, and intelligent optimization methods. He holds an MEng in Software Engineering and a PhD in Computer Science both from Imperial College London. Spinellis is a FreeBSD committer and the author of many open-source software packages, libraries, and tools. His implementation of the Unix sed stream editor is part of all BSD Unix distributions and Apple's Mac OS X. Other tools he has developed include the UMLGraph declarative UML drawing engine, the ckjm tool for calculating Chidamber and Kemerer object-oriented metrics in large Java programs, the Outwit suite for integrating Windows features with command-line tools, the fileprune backup file management facility, and the socketpipe network plumbing utility. In 2004 he adopted and has since been maintaining and enhancing the popular bib2xhtml BibTeX bibliography format to HTML converter. Currently he is also serving as the scientific coordinator of the EU-funded SQO-OSS cooperative research project, a software quality observatory for open-source software. Spinellis has published two books in Addison-Wesley's "Effective Programming Series": in 2004 Code Reading: the Open Source Perspective, which received a Software Development Productivity Award in 2004 and has been translated into six other languages, and in 2006 Code Quality: the Open Source Perspective, which also received a Software Development Productivity Award in 2007. Both books use hundreds of examples from large open source systems, like the BSD Unix operating system, the Apache Web server, and the HSQLDB Java database engine, to demonstrate how developers can comprehend, maintain, and evaluate existing software code. Spinellis has also published more than 100 technical papers in journals and refereed conference proceedings. The article A Survey of Peer-to-Peer Content Distribution Technologies he co-authored in 2004 appeared in the list of ACM's most downloaded digital library articles throughout 2005 and 2006. 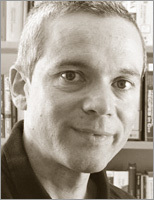 He is a member of the editorial board of IEEE Software, authoring the regular Tools of the Trade column, and Springer's Journal in Computer Virology. Spinellis is a member of the ACM, the IEEE, the Usenix Association, the Greek Computer Society, the Technical Chamber of Greece, a founding member of the Greek Internet User's Society, and an active Wikipedian. He is four times winner of the International Obfuscated C Code Contest and a member of the crew listed in the Usenix Association 1993 Lifetime Achievement Award.